​Quite often we find people surprised to learn that it is possible and permissible to train children in a Healing system. 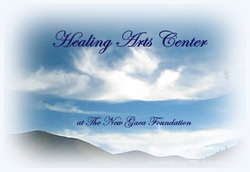 However, it is most appropriate for some children as they are “born Healers”. We have observed children as young as two years of age performing “formal” Healing techniques on everything from “owies and boo-boos” to bugs, birds, dragonflies, and trees to themselves and those around them. Through channeling with the Archangelic Council, we were instructed to include these children in the One Heart Touch® training program, as well as instructing them in meditation. If you have any questions at all about this instruction, please don't hesitate to ask us. ** indicates a course offered by invitation only.